The Support Group is a Registered Charity which was formed in 1984. The members on the Support Group are parents and Unit staff, who work together to give a better start in life to the tiny or sick babies and their families who have been treated and cared for on the Unit. 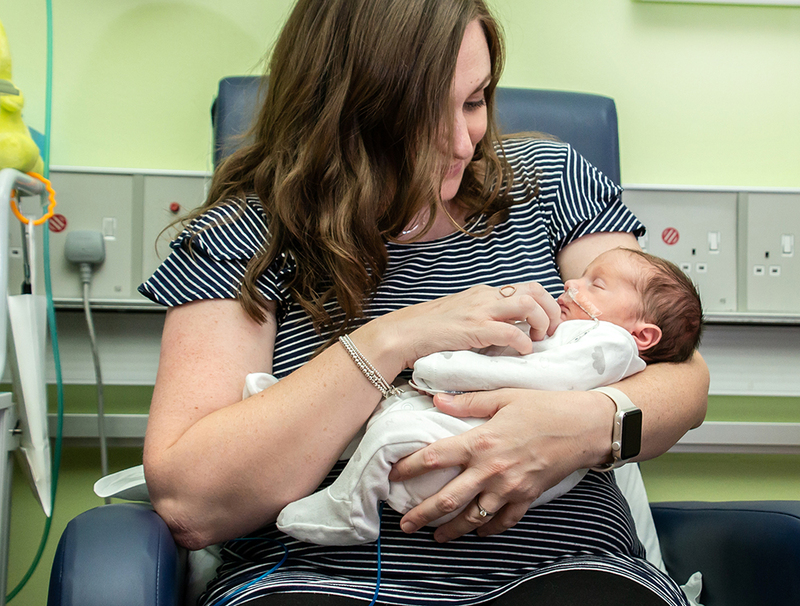 The Support Group provides practical and emotional support for parents who often go through a great deal of stress and anxiety when they have a sick baby on the Unit or when their baby is born prematurely. Whilst the staff on the Unit aim to provide empathy to all parents, some parents find it very beneficial to speak and exchange concerns and anxieties with others who have had a similar experience. This is an opportunity for you to share your thoughts and feelings with other parents who can offer valuable support. This support can be arranged by the Unit staff. The Support Group can provide small clothes for the babies when they are discharged from hospital if parents wish. The clothes are either bought by the support group or kindly donated by parents who have had babies on the Unit. There is also a small army of knitters, crocheters and quilters from surrounding areas who keep us going with their fabulous creations. The Support Group is able to give assistance and advice to anyone who is willing to raise money for us. These funds enable the charity to help purchase extra and new equipment for the Unit. We also sponsor staff members to undertake courses in order to update and train in such a highly specialised field. Often parents express a wish to maintain contact with the Support Group and become active members. We will always welcome new members with new ideas and motivation and this can be arranged through the nursing staff on the Unit or by contacting us either by email, Facebook or the contact number (0845 094 6115). Finally we are always extremely grateful to the people of York, Selby and surrounding areas for their continued financial support to our registered charity.